If you have any questions regarding our terms, please contact us HERE. Gravestone Transformations does not represent or endorse the accuracy or reliability of any of the information, content or advertisements contained on, distributed through or linked, downloaded or accessed from any of the services contained on this website, nor the quality of any products, information or other materials displayed, purchased, or obtained by you as a result of an advertisement or any other information or offer in or in connection with the services herein. You hereby acknowledge that any reliance upon any materials shall be at your sole risk. Gravestone Transformations reserves the right, in its sole discretion and without any obligation, to make improvements to, or correct any error or omissions in any portion of the service or the materials. The service and materials are provided by Gravestone Transformations on an “as is” basis, and Gravestone Transformations expressly disclaims any and all warranties, express or implied, including without limitation warranties of merchantability and fitness for a particular purpose, with respect to the service or any materials and products. In no event shall Gravestone Transformations be liable for any direct, indirect, incidental, punitive, or consequential damages of any kind whatsoever with respect to the service, the materials and the products. Gravestone Transformations respects the rights (including the intellectual property rights) of others, and we ask our users to do the same. Gravestone Transformations may, in appropriate circumstances and in its sole discretion, terminate the accounts of users that infringe or otherwise violate such rights of others. The contents of this web site and blog are written and edited by Gravestone Transformations. The compensation Gravestone Transformations receives as an affiliate marketer to provide opinion on products, services, websites and various other topics does not affect the topics or posts Gravestone Transformations makes in this blog. Gravestone Transformations abides by word of mouth marketing standards and believes in honesty of relationship, opinion and identity. Unlike so many who promote products, Gravestone Transformations is not a product launch monger who promotes every product – good or bad – that hits the market. The views and opinions expressed on this blog are purely our own. Gravestone Transformations always provides their honest opinions, findings, beliefs, or experiences on those topics or products. In rare cases, Gravestone Transformations will mention products that have not been personally reviewed. However, this only occurs when Gravestone Transformations is familiar with the manufacturer’s previous products and is satisfied that he or she produces only high-quality goods. Regardless, Gravestone Transformations will mention if and when they do not have personal experience with the product. 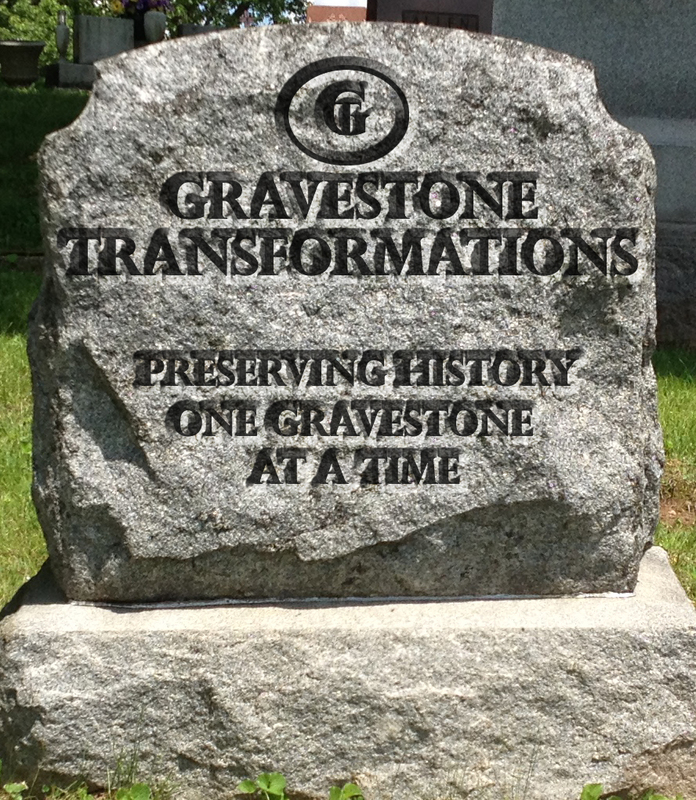 Gravestone Transformations has created this privacy statement in order to demonstrate their firm commitment to privacy. The following discloses their information gathering and dissemination practices for this website: GravestoneTransformations.com. Your IP address is used to help diagnose problems with our server, and to administer our Web site. This site contains links to other sites. Gravestone Transformations is not responsible for the privacy practices or the content of such Web sites. Gravestone Transformations agrees not to sell or rent the email addresses of any Gravestone Transformations newsletter subscriber to any third party. This site gives users the following options for removing their information from its mailing list database to not receive future communications or to no longer receive their service. Gravestone Transformations reserves the right to grant refunds with a RA number (**less restocking, shipping, handling and border custom charges), for their own physical products returned to Gravestone Transformations, if Gravestone Transformations has deemed the product defective. If you feel you have a defective product, please contact us for a product evaluation. *Sale items, instant downloaded products like eBooks, Audios, and Memberships, etc. are final sales and are non-refundable. Refunds from products from third party affiliate programs are dealt with directly by the third party themselves and Gravestone Transformations is not responsible for contact with third party nor refunds. **Products that Gravestone Transformations has deemed defective are subject to a 10% restocking fee which covers restocking and administrative costs. Shipping, handling and border custom charges that occur during the return process are extra and will be deducted from buyers refund. Shipping the product back with original shipping methods usually avoids all custom/brokerage fees so do not ship with another courier service to avoid these extra custom border fees upon entering the U.S. Refunds are not automatic. If you feel you have a defective product, please contact us for a product evaluation. Most orders will be mailed within 5 days of receipt and be sent by US Postal Service with delivery approximately 8 to 14 days later anywhere within the United States. International orders can take up to 2-6 weeks for delivery, please email us for speedier shipping options upon ordering if you wish to pay extra for quicker delivery. Questions and concerns? Please contact us.